Mother’s Day falls on 31st March this year, the same day that the clocks go forward! Even more reason to cram as much in to the day as possible! 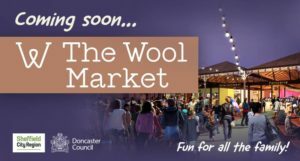 There are loads of great was to celebrate Mother’s Day in and around Doncaster with the kids over the weekend. We have done a quick roundup of 10 ways you could celebrate Mother’s Day as a family. Some do require booking, so don’t leave it too late – share this post with other halves if you have been promised a surprise day out! The Market Square will be transformed into a Mad Hatters Tea Party on Mother’s Day! Head to the new Wool Market with your mothers and grandmothers for a special day out that the whole family will enjoy. There will be plenty of live music, entertainment and a few surprises along the way! 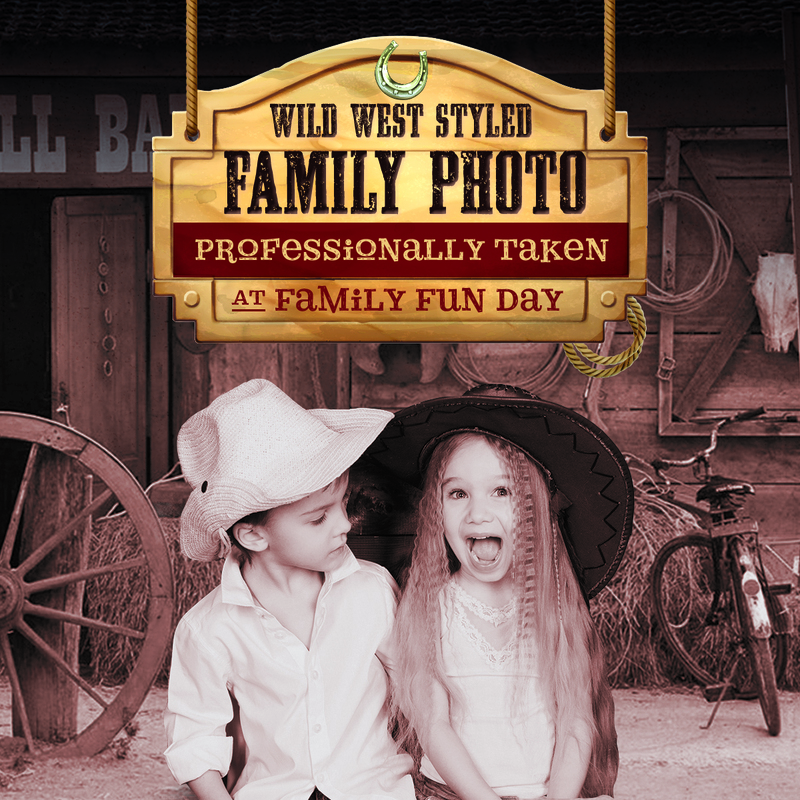 Create memories this Mother’s Day with a Wild West Family photo! 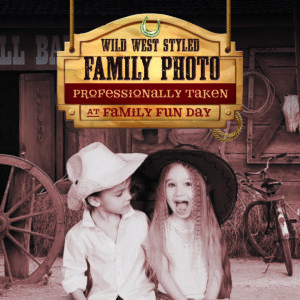 Alongside an afterntoon of exciting flat racing, not only can you get a professional family photoshoot, but you can enjoy a whole range of family entertainment including Western Stunt Show, Pony Rides, Cactus Hoola, Rodeo Ball, Cowboys and Cowgirls and all the fun of the fairground! Mums go FREE this mother’s Day! If you haven’t tried Williams Den yet, it is within 45 minutes drive of Doncaster and it is a great place for kids to get creative and enjoy indoor and outdoor activities. (See what we thought about Williams Den here in our review). Children can make a special gift between 11am-2pm and there is a special Mother’s Day menu available too. Create a beautiful Mother’s Day card, plant a bulb and make a sparkling door hanger at Bronte’s of Thorne this Sunday. Sessions are running this week until Saturday 30th March. Suitable for children from 5 months to 5 years old, your little ones can make crafts and keepsakes. Treat your mum at the Garden Tea House this Mother’s Day and experience the great outdoors at Clumber Park. Take a scenic walk, followed by a special meal made using produce from their Walled Kitchen Garden. All mums will be treated to a free homemade dessert when purchasing a main meal. Harewood House is a fun day out for the whole family, with lots to explore, from the house and it’s collections, to the rare bird garden, penguin feeding, farm experience, adventure playground and over 100 acres of garden to explore. Mother’s Day Weekend at Harewood House is the first big celebration date in the diary since reopening for 2019 (Re-opens 23rd March). Enjoy their new exhibition Useful/Beautiful: Why Craft Matters, showcasing 26 of the most exciting British-based makers today. The Makers Market will be in The Courtyard, and you enjoy live music from Leeds rock-band Hope & Social. You can also reserve a table for the new Spring Afternoon Tea. Join in a family springtime sculpture walk on Saturday 30th March. Discover sculptures, draw outside and notice the natural world waking up from its winter slumber! Make some memories as a family celebrating the start of spring. Sessions at 11am and 2pm. Booking required. Suitable for ages 6+. Why not all have a treat and have afternoon tea as a family! Enjoy a spot of indulgence at The Earl. We have lots more days out ideas on the website. If you haven’t yet joined the Doncaster Mumbler chat group, head over to facebook and share ideas of places to go with other mums.